The Canal and River Trust is a charity that are entrusted with the care for 2,000 miles of waterways in England and Wales. In addition to maintaining these 2,000 miles of canals and rivers, that are often over 200 years old, they are responsible for an enormous network of bridges, embankments, towpaths, aqueducts, docks and reservoirs and more all part of the inland waterways network. The website lists only the most important organisations. For the UK, more complete listings are found in the annual Canalmanac publication of Waterways World magazine. The Investigating Lakes Ecosystem project aims to generate a process-based understanding of how lakes function and to use this knowledge to provide advice for lake managers. The UK Lakes Portal is a new online gateway to discover the lakes of the United Kingdom, linking data from many institutions into one national hub. Beginning life in 2004 as a GIS-based inventory of British standing waters, the portal has been gradually accumulating data to become an extensive and comprehensive resource for lakes in the United Kingdom. It is a product of collaboration between the Centre for Ecology & Hydrology, University College London and the UK conservation and environment agencies. The Cumbrian Lakes Research Forum began in 2015 reflecting the broad range of lake research, regulation and management in Cumbria and more broadly across the country. See the Lakes section under UK Freshwater Habitats for description of euthropic, mesothropic and oligotrophic & dystrophic lakes. The Lake District National Park Authority (LDNP) conserves and enhances the natural beauty, wildlife and cultural heritage of the Lake District and promotes opportunities for the understanding and enjoyment of the area by the public. The World Lakes website includes the Global Lakes Database and a section on Issues and Solutions. Part of the website serves as an archive for LakeNet. This was most active from 1998-2008 but lives on as an informal, global network of people concerned about lakes. Living Lakes is an international network managed by the Global Nature Fund (GNF). The mission is to enhance the protection, restoration and rehabilitation of lakes, wetlands, other freshwater bodies of the world and their catchment areas. Each year Living Lakes nominates a Threatened Lake of the Year (Lake Tanganyika in 2017and Lake Bolgoda and Lake Madampe - Sri Lanka in 2018). The Improvement Programme for England’s Natura 2000 (IPENS), supported by European LIFE+ funding, is enabling Natural England, the Environment Agency, and other key partners to plan what, how, where and when to target their efforts on Natura 2000 sites and the areas surrounding them. The Lake Restoration theme plan is part of the IPENS programme. The United Kingdom & Ireland Lakes Network (UKILN) is an association of people and organisations who have an interest in managing lakes through a whole catchment approach. 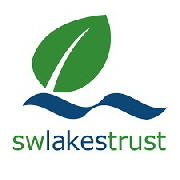 The Wildlife Trusts website includes a section on lakes.